Need That Car has a new project. Actually, it’s two projects in one. 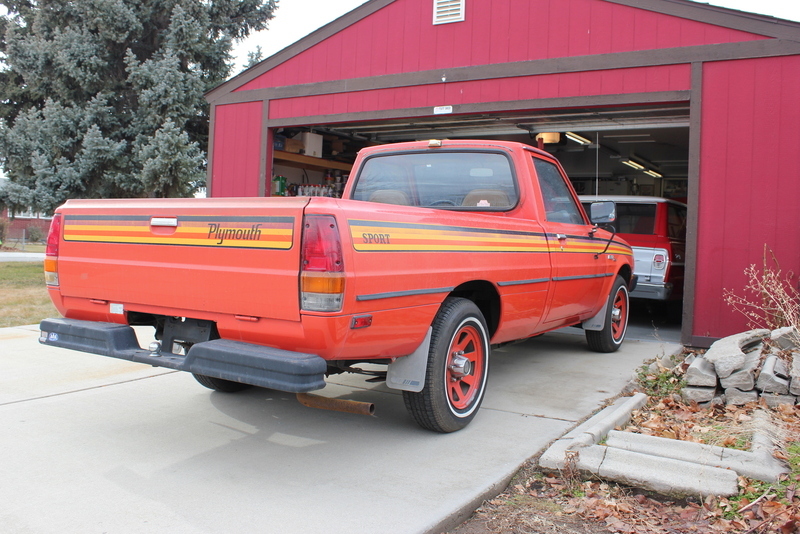 The first part of the project is a 1980 Plymouth Arrow. The truck itself was featured in an earlier post and, well, it just stole my heart. I simply could not let some other undeserving clod have it. Click to learn about the diabolical plans that lie ahead! The Arrow has 85,000 original miles on it, and it’s a peach. 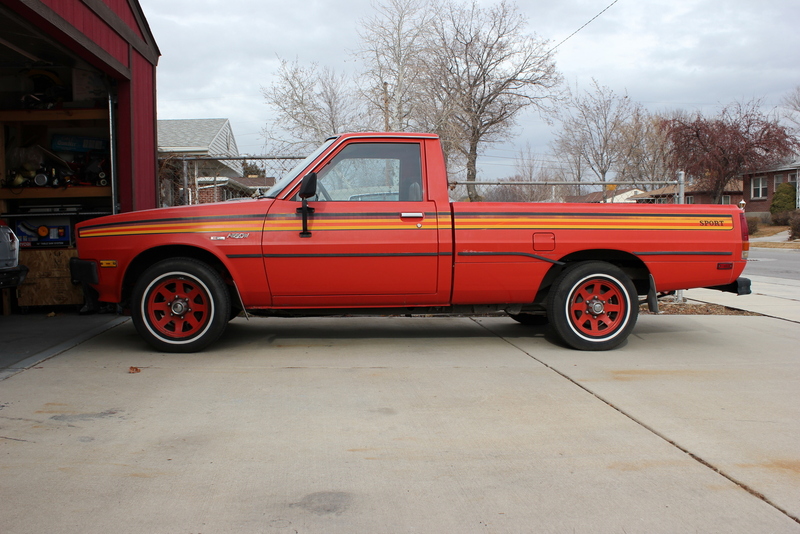 The body is in amazing shape, the original ’80s striping is faded a bit, but still in tact, and the interior is nearly spotless (except for the standard issue cracked dash). That’s the good news. The bad news: What I thought was a blown head gasket turned out to be a cracked head. 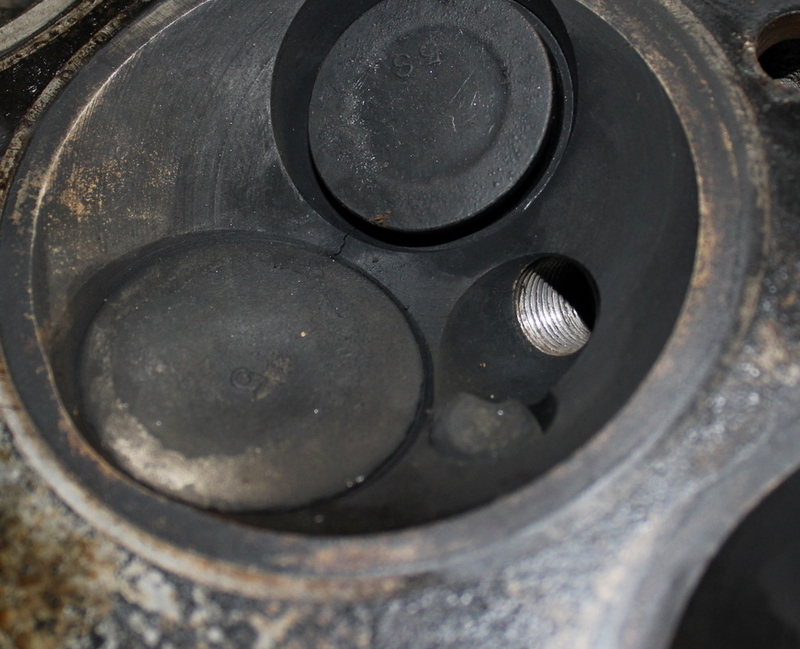 It is cracked between the intake and exhaust valves in both #2 and #3. As if that weren’t bad enough, I soon found out that parts for the ’79-’81 G54B (2.6l) Mitsubishi engine are just about impossible to find. There are currently no companies making direct replacement heads, head gaskets are mostly N.O.S. items, and most people and forums I spoke with suggested I upgrade the engine, or at least the head, to a newer year. The newer year head will fit, but I would also need the new intake manifold and fuel pump. Full disclosure: I attempted to do a fly and drive with this vehicle. It was a massive failure due to the head/parts issue and I ended up spending more money than I care to think about renting a U-Haul to get it home. A Conquest! Not just any Conquest, either. 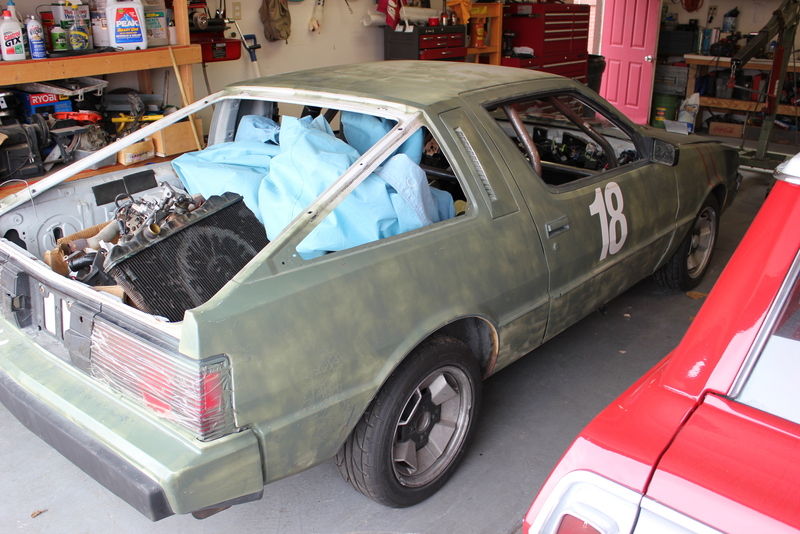 This particular car is a veteran of the 24 Hours of Lemons race. My engine has a bad top end, and the Conquest has a bad bottom end. Together, the two engines will net (hopefully) one strong running 2.6l mill. This is the first in what will be a weekly series detailing the head swap headaches and turbo tribulations on my Arrow. If things go as planned, I think I can bump the power on the truck from a factory-rated 105 by at least 50 horsepower and perhaps as much as 75. I will add the turbo, the wiring, and the fuel injection. (At least I’ll try.) If it runs correctly, I may even increase MPG. 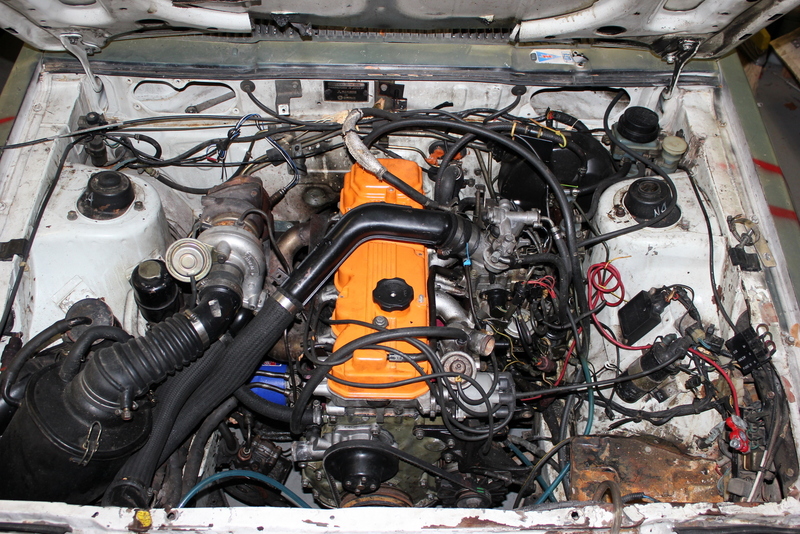 As for the Conquest, I hope to drop a more mainstream engine in it, get a team together and go Lemons racing. That will be a build thread of its own at a later date. This entry was posted in Custom, Gems from the Dark Years (1971-1987), Items of Interest (Not for sale), Japanese, Mini Trucks, Turbo Arrow. Bookmark the permalink. Did you get it wired i need some help> Im doing the same swap into my 80 arrow. I have the harness all isolated, so all I have to do now is hook up battery, switched battery, and ground to the harness and it *should* work. Can some educate me on these trucks? I always wanted one. But I am afraid I have no where to go for parts and restoration needs. For example the windshield weatherstrip, interior parts, etc. 20yrs I found these truck at most of the wrecking yards. Now I cannot find any. I luv to re create the graphics. 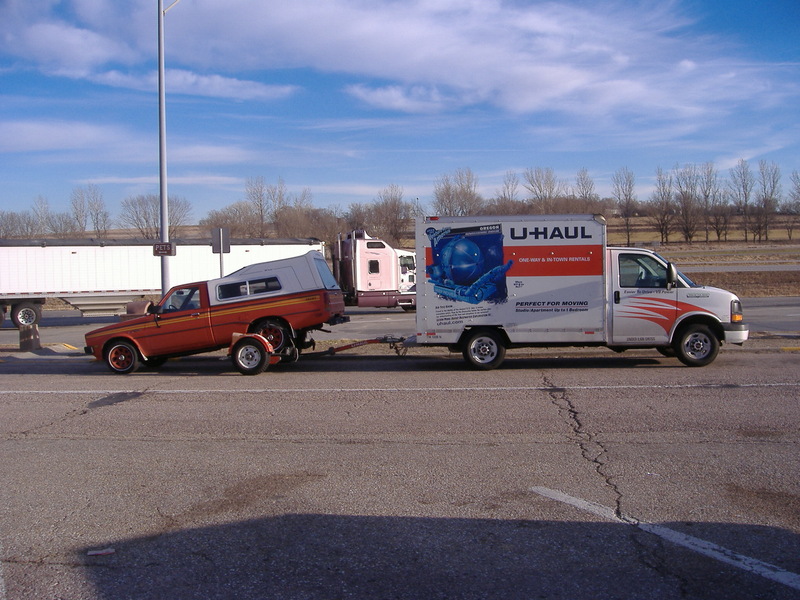 I could find any website or registries dedicated to these mini trucks / d50’s. Here are a few quick things: First of all, Mopar dealers will still carry many of the items you need. In my case, I searched high and low for a solid, dry original in great shape (well, not the engine…). I think that’s the best way to go with these trucks. A really excellent example can be had for under $4000 if you are patient with your search. Most sign shops will replicate the graphics for you, but it will cost. Otherwise, it’s hit and miss at the junkyard. Again, find a good, solid original. I miss my Plymouth Arrow!